Obesity is defined as a Body Mass Index (BMI) greater than 30. Morbid obesity is when the BMI is greater than 35. 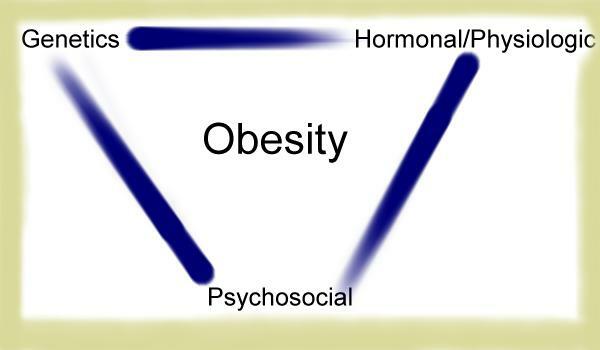 In the United States, both sexes and all ethnic groups show significant increases in the incidence of both obesity and morbid obesity. Nearly two-thirds of adults in the United States are overweight, and 30.5 percent are obese, according to data from the 1999-2000 National Health and Nutrition Examination Survey (NHANES). This fact sheet presents statistics on the prevalence of overweight and obesity in the U.S., as well as their disease, mortality, and economic costs. To understand these obesity statistics, it is necessary to know how overweight and obesity are defined and measured. This fact sheet also explains why obesity statistics from different sources may not match. Why do overweight statistics and obesity statistics differ? Overweight refers to an excess of body weight compared to set standards. The excess weight may come from muscle, bone, fat, and/or body water. Obesity (according to most obesity statistics) refers specifically to having an abnormally high proportion of body fat. A person can be overweight without being obese, as in the example of a bodybuilder or other athlete who has a lot of muscle. However, many people who are overweight are also obese. A number of methods are used to determine if someone is overweight or obese. Some are based on the relation between height and weight; others are based on measurements of body fat. The most commonly used method today is body mass index (BMI). BMI can be used to screen for both overweight and obesity in adults. It is the measurement of choice for many obesity researchers and other health professionals, as well as the definition used in most published information on overweight and obesity. BMI is a calculation based on height and weight, and it is not gender-specific. BMI does not directly measure percent of body fat, but it is a more accurate indicator of overweight and obesity than relying on weight alone. weight (kg) / height squared (m²). An expert panel convened by the National Heart, Lung, and Blood Institute (NHLBI) in cooperation with the National Institute of Diabetes and Digestive and Kidney Diseases (NIDDK), both part of the National Institutes of Health (NIH) identified overweight as a BMI of 25–29.9 kg/m², and obesity as a BMI of 30 kg/m² or greater. An interesting fact about obesity, however, is that overweight and obesity are not mutually exclusive, since people who are obese are also overweight. Defining overweight as a BMI of 25 or greater is consistent with the recommendations of the World Health Organization and most other countries. Why do overweight statistics and obesity statistics differ?The definitions or measurement characteristics for overweight and obesity have varied over time, from study to study, and from one part of the world to another. The varied definitions affect prevalence statistics and make it difficult to compare data from different studies. Prevalence refers to the total number of existing cases of a disease or condition in a given population at a given time. Some overweight-and obesity-related prevalence rates are presented as crude or unadjusted estimates, while others are age-adjustedestimates. Unadjusted prevalence estimates are used to present cross-sectional data for population groups at a given point or time period. For age-adjusted rates, statistical procedures are used to remove the effect of age differences in populations that are being compared over different time periods. Unadjusted estimates and age-adjusted estimates will yield slightly different values. Previous studies in the United States have used the 1959 or the 1983 Metropolitan Life Insurance tables of desirable weight-for-height as the reference for overweight. More recently, many Government agencies and scientific health organizations have estimated overweight using data from a series of cross-sectional surveys called the National Health Examination Surveys (NHES) and the National Health and Nutrition Examination Surveys (NHANES). The National Center for Health Statistics (NCHS) of the Centers for Disease Control and Prevention (CDC) conducted these surveys. Each had three cycles: NHES I, II, and III spanned the period from 1960 to 1970, and NHANES I, II, and III were conducted in the 1970’s, 1980’s, and early 1990’s. Since 1999, NHANES has become a continuous survey. A: According to the most recent health and obesity statistics, nearly two-thirds of U.S. adults are overweight (BMI > 25, which includes those who are obese). A: According to recent obesity statistics, nearly one-third of U.S. adults are obese (BMI >30). Q: How many adults are at a healthy weight? A: Less than half of U.S. adults have a healthy weight (BMI > 18.5 to < 25). If you have any questions on these facts about obesity, please contact us.